With the extrusion process, a manufacturing company can create all kinds of extruded aluminum shapes. Although you can always have custom profiles made, with so many standard aluminum extrusion shapes, a top manufacturer may have what you need already in inventory. Therefore, when searching for the best company, find out what standard profiles currently exist. Along with waiting less time for the part or component needed, this could save you money. Using bar stock, sheet, and coils, a top manufacturer produces a broad range of aluminum extrusion profiles that benefit multiple industries. For instance, extruded gaskets get used by the automotive, aviation, and aerospace industries, among many others. Therefore, if you need gaskets, there is a good chance that a top manufacturer has standard shapes available without the need for customization. 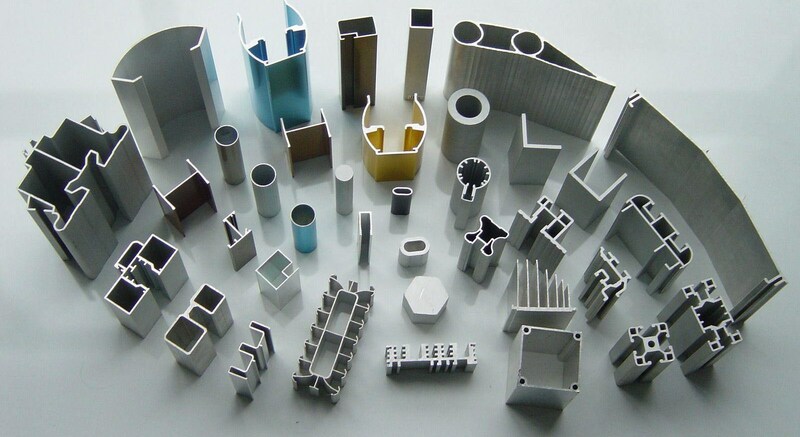 The most commonly produced extruded shapes using aluminum as the workpiece include channels, rectangular tubing, and angles. With these three alone, a manufacturer can make parts and components for the appliance, construction, computer, and architectural industries plus more. Something to consider is that all three of these shapes range in size from one millimeter to several feet, making them extremely versatile. There is a vast selection of extruded aluminum shapes and sizes. Along with rectangular tubing, angles, and channels, which include F, H, J, and Z, are bars, sliding t-track, division bars, H and I beams, pipes, open seam square tubing, corner extrusions, and even decorative mirror trim. With so many standard profile options, you should have no problem finding what you need, whether for handrail fittings, automotive parts, counter edging, or a host of other things. Although manufacturers extrude other materials, aluminum offers unique benefits. Not only is this material lightweight, but it’s also dense, malleable, and ductile. For malleability, aluminum ranks just second to gold, and for ductility, it ranks as number seven compared to other metals. All of these properties make aluminum the perfect material for the extrusion process, which transforms it into a massive range of durable shapes. At RPM Industries, Inc., we offer both standard and custom aluminum extruded products. Either way, we use only the best material and cutting-edge machinery to ensure a precision finished product. You can learn more about our company and the full spectrum of services provided by visiting us online or calling to speak with a company representative regarding your needs.